Now a days, the Palau de la Música Catalana has more than ninety patrons, who contribute with their contributions to the dynamism of artistic life, the activity of the choir, and the maintenance of the building, declared a World Heritage Site by UNESCO . Honorary patrons: for contributions of 75,000 euros or more. Protective patrons: for contributions of between 25,000 and 75,000 euros. Collaborators: for contributions of between 5,000 and 25,000 euros. Benefactor friends: for contributions of up to 5,000 euros. Media Partners: mass media that provide free advertising and promotion of the activities of the Palau de la Música. 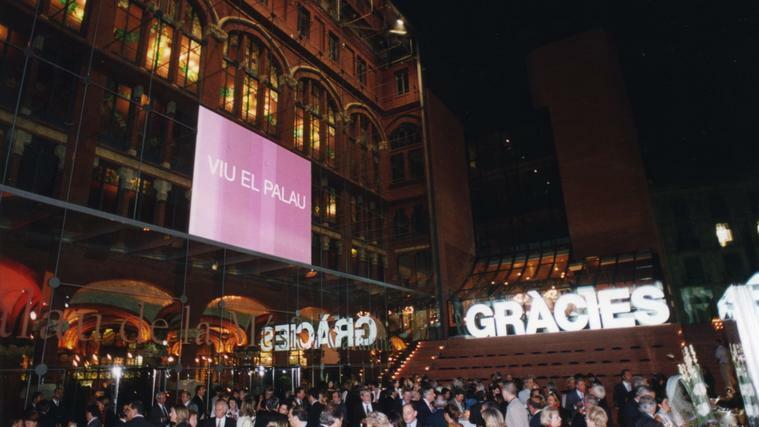 In accordance with the Spanish sponsorship act, Sponsors of the Palau de la Música Catalana make their contributions in the form of donations, through cooperation agreements or through advertising sponsorship contracts. The latter form is the one most commonly used by sponsors of the Palau. The institution offers compensation proportional to their contributions. The most usual include: the loaning of halls, tickets to the concerts organised by the Fundació, private architectural tours of the building or advertising, among others. For more information about sponsorship, get in touch with us by calling 93 295 72 14 / 13 or by e-mail: mecenatge@palaumusica.cat.